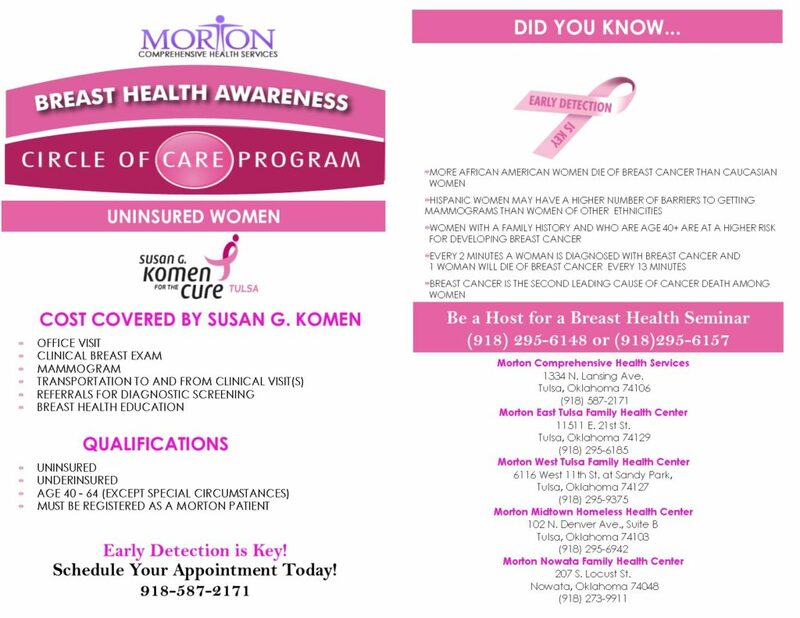 Morton and the Susan G. Komen for the Cure Tulsa are offering clinical breast exams and mammograms for qualified patients. 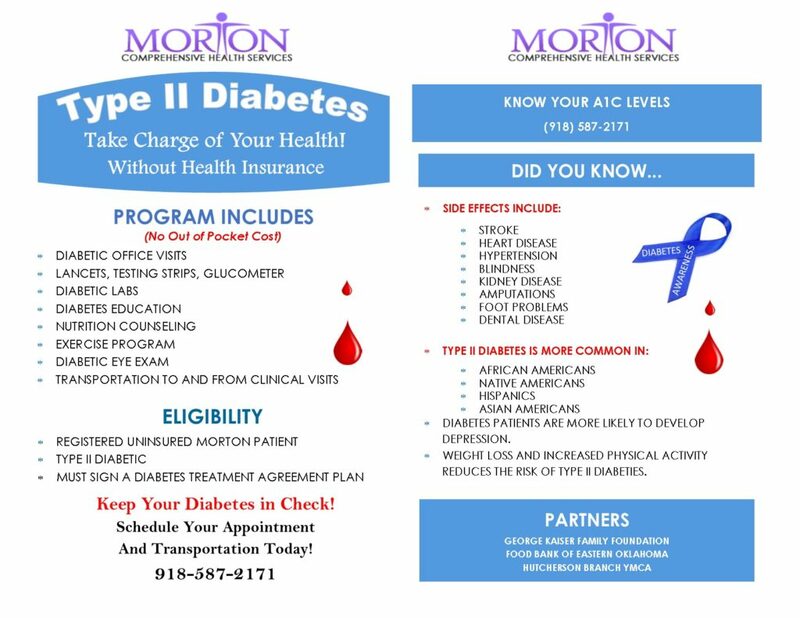 Also, Morton will provide referrals for further diagnostic screenings, if necessary, and educational information on the topic. The Transportation department will make arrangements for patient’s travel to and from clinical visits. For more information, call (918) 587-2171. In partnership with the George Kaiser Family Foundation, Community Food Bank of Eastern Oklahoma and the W. L. Hutcherson Branch YMCA, Morton is offering a patient-centered program for individuals with diabetes. After meeting with a case manager at Morton, a four-part program will be designed to provide medical oversight, medications and supplies, nutritional and educational information and an exercise regimen. The individual will receive the services and related medical visits and supplies for free. For more information about the program, call (918) 295-6155.